To better serve you, Ridgewood Savings bank has partnered with select third party organizations.  Ridgewood does not manage the products or services, or the website content, privacy or security policies of these third parties. By clicking “continue,” you will leave our site and no longer be subject to, or under the protection of, the privacy and security policies of Ridgewood Savings Bank's website. 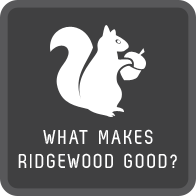 Not Just Good, Ridgewood Good. At Ridgewood, we believe banking should go beyond numbers, which is summed up in our tagline, “multiply the good.” Click to the right to see how we’re different. From no-fee checking, to a 55,000 ATM network, to apps that give you the ability to turn your debit card off and on, we are constantly updating and improving your banking experience. Customer service is at the core of our being. Founded in 1921 by a small group of people from the local community, we’re still focused on what has made us successful – you. Last year, we donated more than $964,000 in charitable donations and our employees contributed more than 2,700 hours of community service. Introducing Switch the Squirrel. 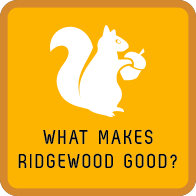 As you know, squirrels are more than just cute, they’re feisty savers, making Switch the perfect mascot for Ridgewood. And what is he saving? Acorns that grow into mighty oaks. 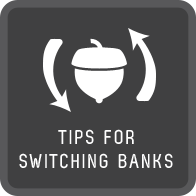 While the process of switching banks may seem complicated, it’s really not that difficult. Follow these 6 steps to make your transition to Ridgewood as smooth as possible. Before pulling the plug on your old bank, choose and open the Ridgewood account that’s right for you. You can start one online or visit your local branch. Your employer will have a simple form, which you’ll need to fill out in order to reroute paycheck deposits to your new account. Ridgewood’s routing number is 226071033. Print a copy of your latest monthly balance statement from your old bank and highlight all the automatic debit transactions. Note which payments were initiated by bill pay and which ones were debited by the companies you paid. Use this list to set up automatic payments from your new account. See if there are any unpaid bills or un-cashed checks that need to clear your account and keep enough cash in your old account to cover those expenses. Transfer the rest to your new Ridgewood account. 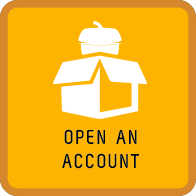 Stop using your old account completely, but keep it open for at least another month. This will help you avoid any complications with auto-payment issues or un-cashed checks. Once you are sure that all outstanding checks have cleared and all automatic bill payments have been completed, transfer the rest of your money to the new account and officially close your old one. At Ridgewood, we reward you every time you use your debit card for purchases. And better yet, you can be rewarded in two ways: reward points and cash back. Click to the right to learn more. 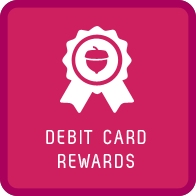 Shop with your Ridgewood Debit MasterCard® and watch your reward points add up fast. There are lots of fun ways to earn extra points, too, including shopping with certain online retailers. When you shop using your Ridgewood Debit MasterCard you will automatically receive cash back offers from select retailers. Check your offers in the Ridgewood Savings Bank App and in Online Banking. The savings get deposited right into your account. 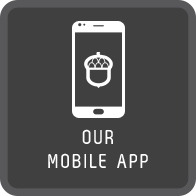 From using your smart phone to deposit a check to turning your debit card off and on with a simple touch of the screen, our free1 mobile apps make banking on the go easy, safe and secure. Click to the right to see just a few of the features. Deposit checks from almost anywhere. Simply choose a checking account, enter the check amount, and snap a couple of photos. It’s that easy. Take control of your debit card spending by setting spending limits for different transaction categories. CardValet® 2 also lets you turn your debit card off and on in case you’ve misplaced it. Plus, the app provides real-time alerts, so you know when and where your card is being used. Set up automatic recurring payments or make single payments securely and easily. Plus, manage all your accounts and transfer money between them anytime, anywhere with your smartphone. As a Ridgewood Debit MasterCardTM customer, you have full access to the Allpoint network giving you the freedom to get cash where you want, when you want, wherever you are – without ATM fees. Click the right arrow to learn more. Use your Ridgewood Debit MasterCardTM to access surcharge-free ATMs located in popular retailers3 like Target, Costco, Walgreens, CVS/pharmacy and more. 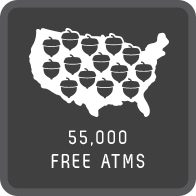 You can find Allpoint ATMs anywhere your travels take you. Just look for the Allpoint logo. And, with the Ridgewood app and website, you can easily locate the nearest surcharge-free ATM. 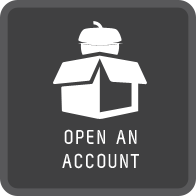 You can choose and open a Ridgewood account online in a matter of minutes. Of course, we’d love to have you stop by a branch so we can shake your hand, too. Either way, we’re happy to begin serving you. Now you can get checking and avoid the $3.00 monthly fee with no minimum balance requirements. Just open an account with a deposit of $25.00 or more and do one of these three things: 1) Sign up for a minimum of $300 in recurring Direct Deposits 2) Sign up for and maintain eStatements 3) Maintain a combined balance of $2,500 in your Ridgewood Deposit Accounts. 1There is no charge from Ridgewood Savings Bank for Mobile banking, but data rates may apply. 2CardValet® is a registered trademark of Fiserv, Inc. or its affiliates. 3Look for the Allpoint logo to ensure your transactions will be surcharge-free. Not every retail location has an Allpoint surcharge-free ATM Inside.